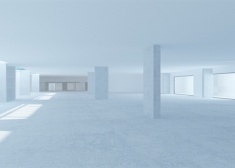 High ceilings, an abundance of large windows and regular floor plates. 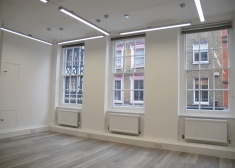 Contemporary style office fittings with exposed brick details, plaster walls and ceilings and a solid self levelling fluid style flooring. 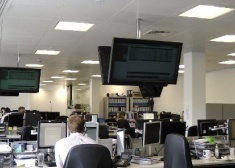 Open plan office accommodation with a separate meeting room in situ. 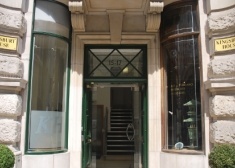 Attractive building with a smart glazed frontage and reception. 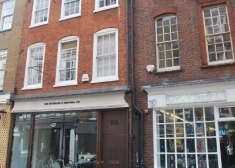 Restored and refurbished to provide a superb ground floor self contained office with an entrance looking onto Soho square. 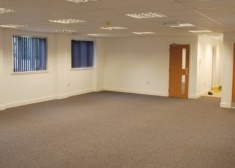 Open plan office space with meeting rooms and a kitchenette. 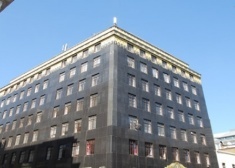 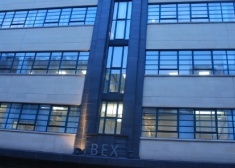 Ibex House is an iconic art deco building. 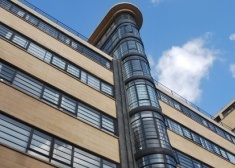 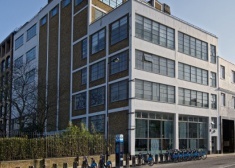 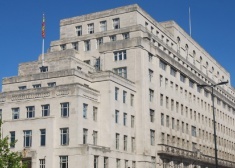 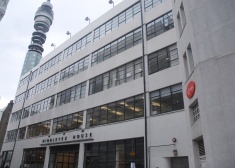 The available floors provide well presented, fitted out media space within a beautiful Art Deco building refurbished by Great Portland Estates in 2009. 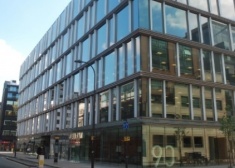 Developed between 2008 and 2011 by the Crown Estate and Stanhope as part of the Quadrant Regent Street development, AirW1 provides stunning Grade A office space. 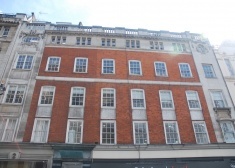 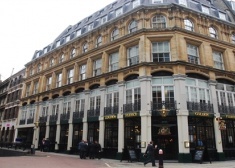 Office to let in Convent Garden. 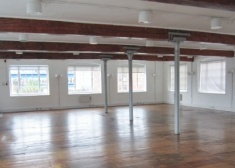 The 1st floor of the Tay Building offers excellent warehouse style offices having recently been redecorated. 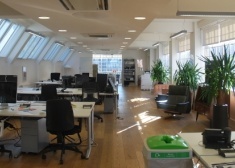 The part first floor provides an open plan office which offers a wealth of natural light. 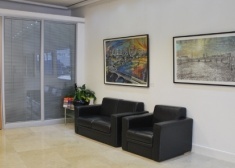 The available accommodation provides open plan high quality office/gallery space. 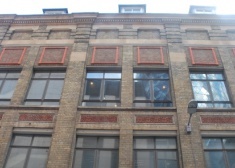 The building has an ornate period facade yet has been extensively redeveloped behind. 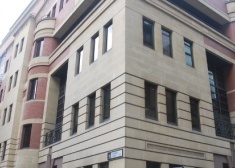 Constructed in 2006, Asticus is widley considered to be one of the best buildings in Victoria. 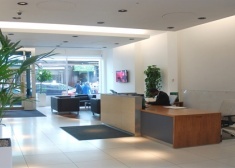 The ground & 1st floors provide bright open plan areas in addition to a number of offices and meeting rooms. 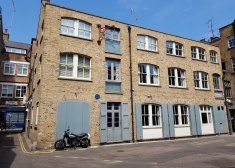 This self-contained period property provides studio style office space over four floors, which could be let either to a sole occupier, or on a floor-by-floor basis. 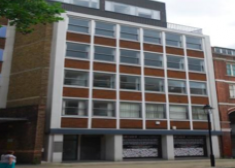 This self-contained office building is currently fitted out in a contemporary style to provide a mixture of meeting rooms and open plan areas. 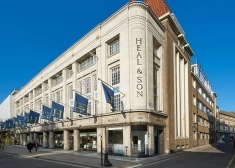 This elegant, highly specified period office building is occupied by a distinguished modern design company. 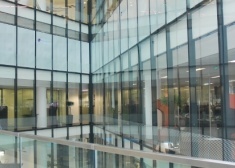 The fourth floor suites provide bright office space with a mixture of open plan areas and a high quality fitted glass meeting rooms. 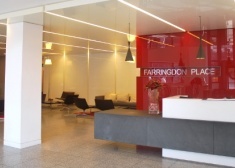 The second floor provides bright office space with a mixture of open plan areas and high quality fitted glass meeting rooms. 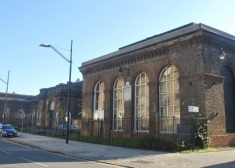 This industrial building, formerly the upholstery workshops for Heal & Son in the early 1900s, would lend itself to a creative/media occupier. 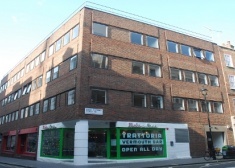 The available third floor office is accessed via a well presented ground floor entrance. 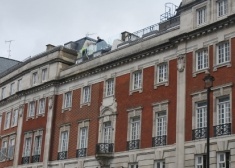 This office also has great views over London. 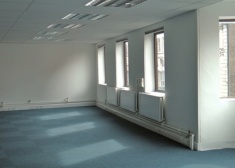 The 1st floor offers bright open plan office space. 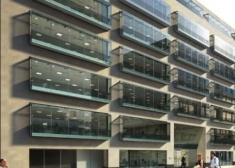 The part fourth floor provides a total of approximately 7,160 sq ft of office accommodation. 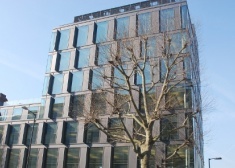 Best New Building- Winner New London Award 2013, this new development was completed at the end of 2012. 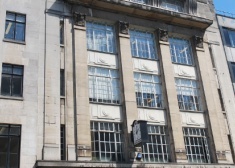 The 1st to 5th floors will provide bright open plan refurbished offices space with the works due to complete in December 2015/January 2016. 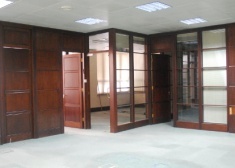 The available floors are currently undergoing refurbishment to provide open plan, Grade A office space. 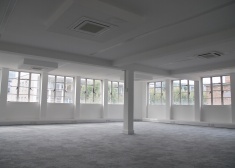 The 7 th floor has been refurbished to provide stunning contemporary loft style space with generous floor to ceiling height and grade A specification. 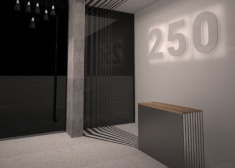 The entire 4th floor will provide open plan, grade A space with access to surrounding balconies. 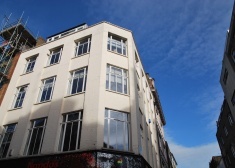 The building has an attractive corner aspect with excellent natural light and access to a shared roof terrace. 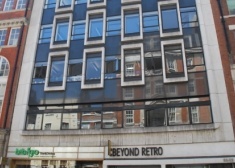 The available space is due to be refurbished. 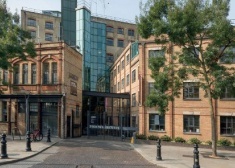 The available accommodation provides excellent plug and play office space benefitting from a mixture of open plan areas and meeting rooms/offices. 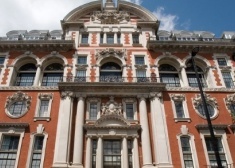 Formally the Swan and Edgar department store, this listed building provides grade A office accommodation behind a stunning period facade designed by Sir Reginald Blomfield. The 1st floor provides fitted out space with stunning views over Golden Square. 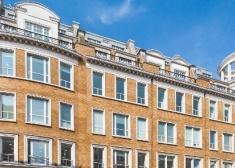 Being located in the heart of Mayfair, in a very glamorous location, an occupier will benefit from all the amenities and cache the area has to offer. 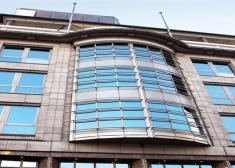 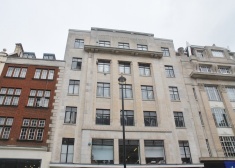 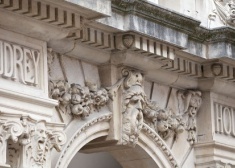 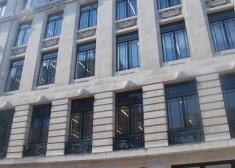 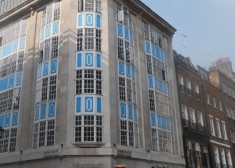 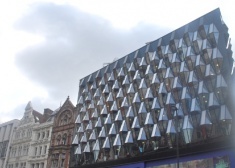 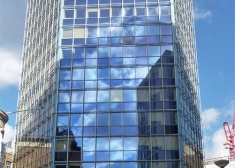 This award winning building is situated on the south side of Oxford Street at its junction with Ramillies Street. 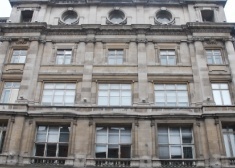 The available floor offers fitted, grade A accommodation within this prestigious building. 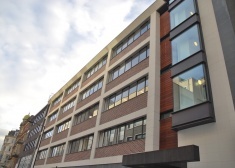 The available accommodation provides high quality fitted office space benefiting from several meeting rooms, boardroom, breakout area, showers and a large open plan area. 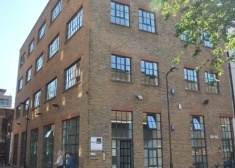 The part 2nd floor provides high quality office accommodation and is fitted out to include an open plan working area, board room and kitchenette. 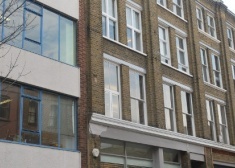 The second floor is fitted out to a high standard providing bright open plan office space with two fitted glass meeting rooms. 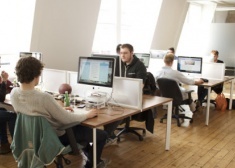 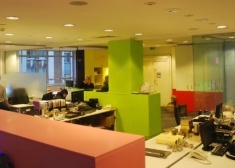 The ninth and first floors both provide bright open plan office space. 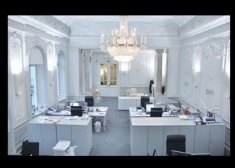 The fifth floor suite has a large boardroom, open plan area, private kitchen and demised male and female toilets. 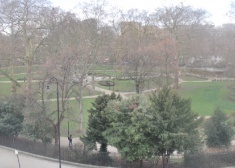 The suite includes outstanding views over Hyde Park, Green Park and east to the City. 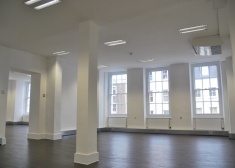 The second floor provides high quality, bright, fitted out space with exceptional views of Golden Square plus the feeling of volume and light. 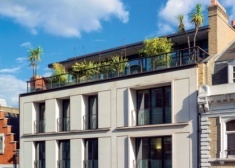 Chelsea Wharf provides a fantastic view overlooking the Thames. 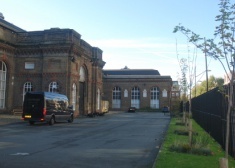 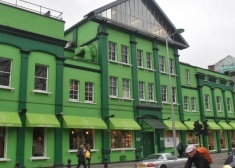 It is located on the south side of Lots Road, next to the Cremorne Gardens. 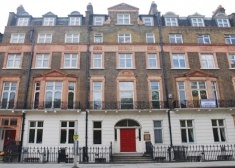 Audrey House is the most prominent building on Ely Place, situated adjacent to the historic St Etheldreda's Church. 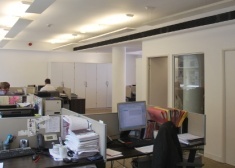 The third floor comprises an open plan area as well as three partitioned private offices. 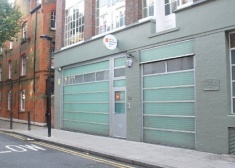 The Ground floor and Basement provide excellent showroom space, as well as workspace/offices, with good natural light and a large window frontage. 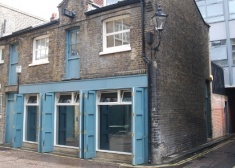 There is potential for rear loading, stores and unofficial parking on the forecourt for 3 cars. 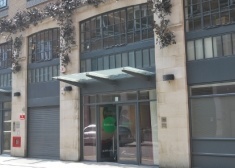 The 1st and ground floor of the Tay Building offers excellent warehouse style offices with the 1st floor having recently been redecorated. 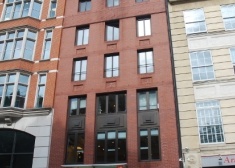 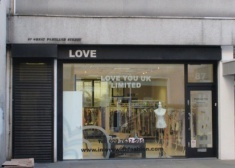 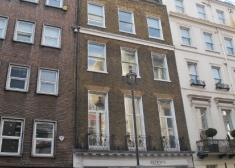 The property is located on the West side of New Bond Street, close to its junction with Brook Street. 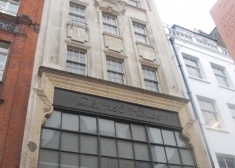 The character building is situated on the west side of Albemarle Street, at its junction with Stafford Street. 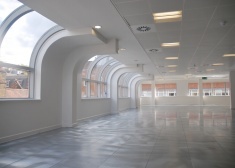 The part first floor provides an open plan office which offers a wealth of natural light. 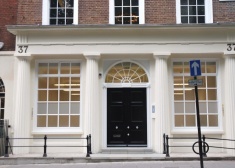 The part ground floor comprises a newly refurbished suite which is ideal for a meeting room or a small office. 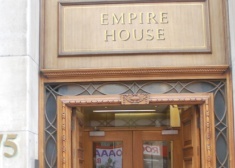 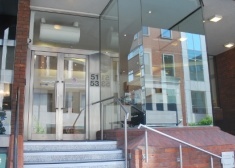 The building benefits from a large ground floor entrance with a manned reception. 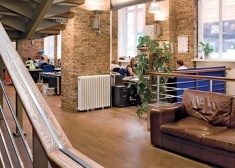 The office floors provide a mixture of cellular and open plan space. 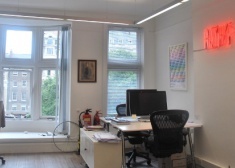 The suite provides period, bright open plan office space with views over Russell Square. 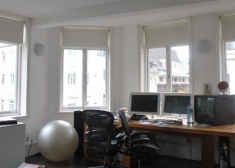 The 3rd floor office also offers views over private gardens to the rear. 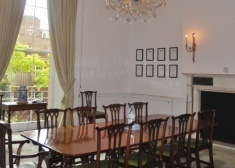 Conference facilities within the building are available to hire at a discounted rate. 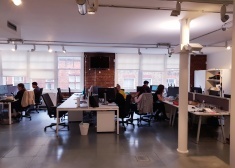 The 5th floor offers bright open plan office space with high ceilings and exposed brickwork, in the heart of London's vibrant midtown. 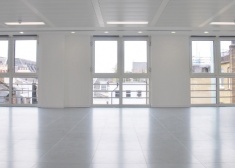 In addition, the space provides an outdoor roof terrace, benefitting from spectacular views over London. 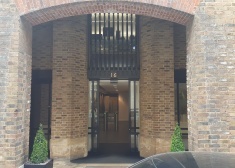 This fully fitted office is on the 3rd floor of the building. 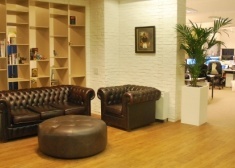 It offers two seperate meeting rooms and an open plan area. 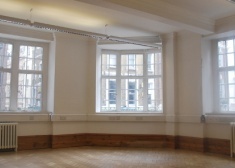 The available 5th floor offers bright space with wooden floors, currently split into two adjoining rooms. 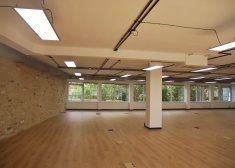 The available floors are to undergo re-decoration to provide open plan, bright efficient floor plates. 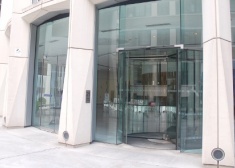 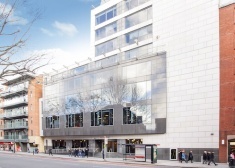 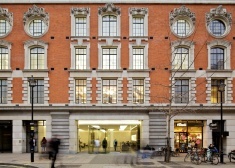 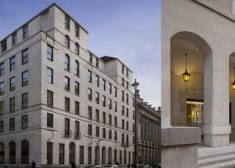 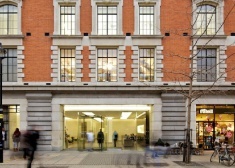 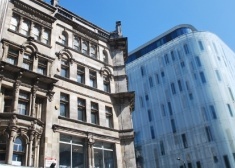 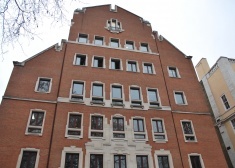 Occupiers benefit from access to Stratford Place and St Christopher’s place to the rear. 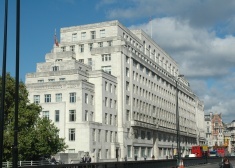 Brettenham House dominates the eastern side of Lancaster Place, fronting Waterloo Bridge and opposite Somerset House. 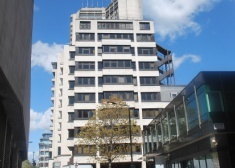 The part 10th floor offers bright, newly refurbished open plan office space with fantastic views over central London. 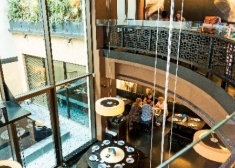 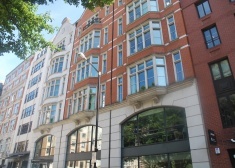 The property is located on the north side of Shaftesbury Avenue, close to its junction with High Holborn and overlooking the new Central St Giles development. 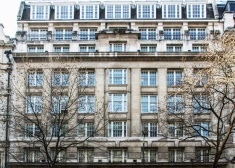 The available accommodation comprises the entire east wing of the building arranged over ground and 2 mezzanine floors. 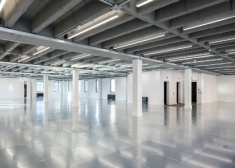 The mezzanine floors are racked for storage (can be part removed). 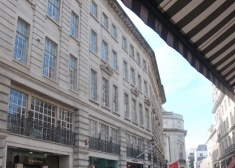 The building is located on Piccadilly, in a prominant position, opposite the Burlington Arcade and within walking distance from Old Bond Street and Fortnum and Mason. 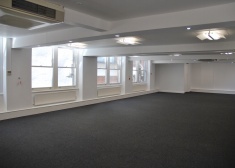 The 1st floor suite offers bright, practical office space and is laid out with a mixture of open plan work areas as well as potential meeting rooms or private offices. 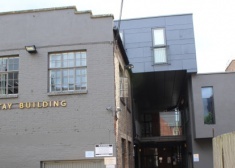 The available space comprises a mixture of fitted out private offices/meeting rooms as well as open plan areas, arranged over basement, ground and first floors. 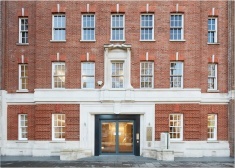 The building was comprehensively refurbished in 2007 and is accessed by a well presented modern reception. 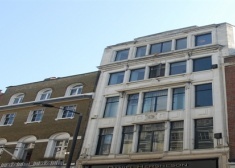 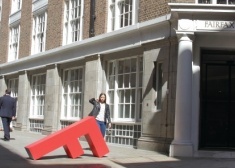 The part 2nd floor offers bright office space fitted to a high standard overlooking Great Titchfield Street. 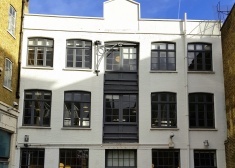 5&6 Portland Mews offers a unique opportunity to occupy a self-contained converted mews building providing fantastic bright space with period/warehouse features over four floors. 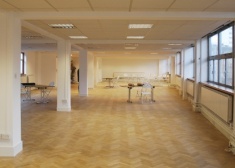 The space is currently quite split, ideal for media/creative occupiers. 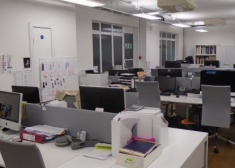 The third floor has been fitted out to a high standard and predominantly open plan space well suited to creative/media occupiers. 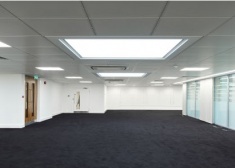 The available floor is fitted out to a high quality to provide a mixture of meeting rooms and a large open plan area. 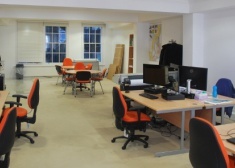 The office is available with all furniture and meeting rooms in situ. 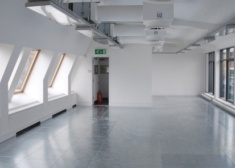 The available 5th floor provides good quality, open plan, media style space giving a wealth of natural light. 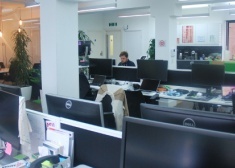 This second floor office provide open plan space which has been fitted out to a very high standard. 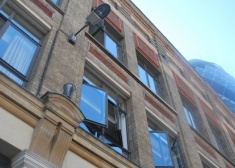 The building as a whole was recently comprehensively refurbished. 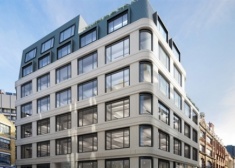 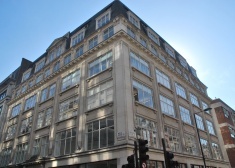 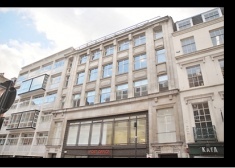 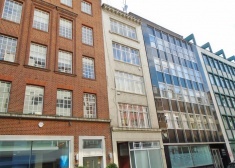 The property is situated on Bucknall Street on a prominent corner position with Dyott Street, immediately behind New Oxford Street and overlooking the new Central St Giles development. 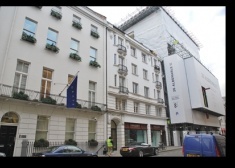 Juxtaposed centrally between Mayfair, Marylebone, Soho & Noho, UK House is in the very heart of London’s West End. 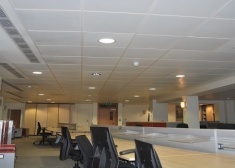 The part 3rd floor provides high quality fitted accommodation, exposed ceilings in part as well as a boardroom meeting rooms and kitchenette. 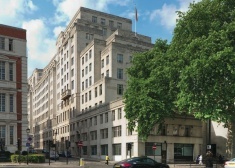 The multi tenanted building will provide quality office floors which are due to be refurbished and should be ready by the begin of 2015. 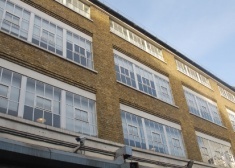 The office accommodation is split over three floors, each benefitting from excellent natural light and perfect for creative occupiers. 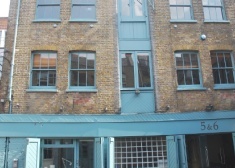 7 Portland Mews offers a unique opportunity to occupy this self-contained converted mews building providing fantastic bright space with period/warehouse features. 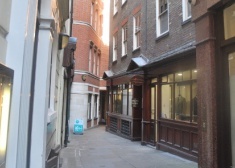 Office space to rent in Soho: an assignment until November 2014 or a new lease directly from the freeholder. 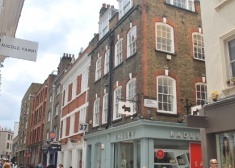 Passing rent - £54,000 pa. New lease - £57.50 psf pax. 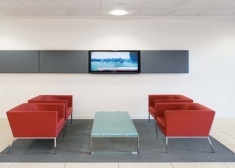 The fourth floor provids a mixture of modern open plan areas and meeting rooms. 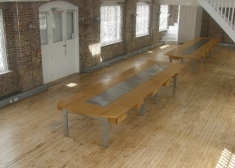 The floor has good natural light, is desked for high occupancy and is fitted to a high standard. 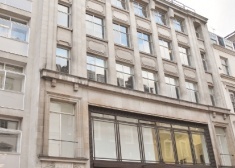 Office space to be let in Holborn. 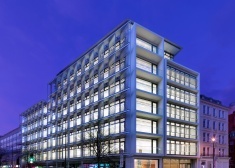 The office benefits from two roof terraces, secure bike storage and a meticulously refurbished reception. 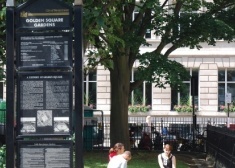 The available floors have been fitted out to a high standard and provide grade A accommodation with stunning views over Soho Square. 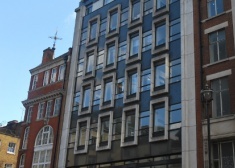 This prominent, modern office building is on the south side of one of Soho's principal streets. 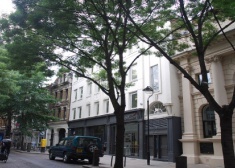 It is adjacent to Regent Street and also in close proxmity of Mayfair. 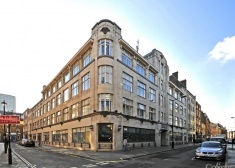 Situated on the Southern end of Great Pulteney Street at its junction with Brewer Street, the property commands a prominent corner position. 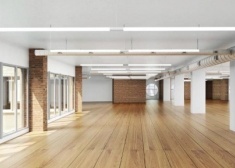 The building provides bright predominantly open-plan floors with good ceiling height. 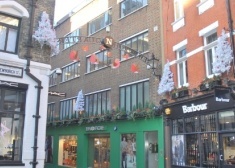 The building is situated by Farringdon Station at the junction with Cowcross Street. 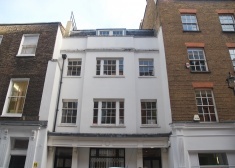 3,981 sq ft of self-contained ground and first floor media style space. 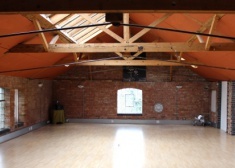 The floor is to undergo refurbishment to provide bright open plan space. 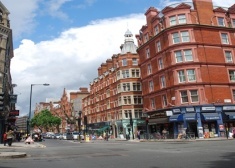 Kings Cross is an area that is currently been substantially redeveloped and have improved extremely well. 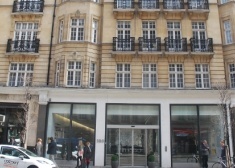 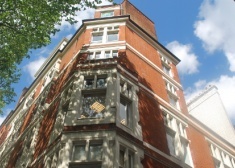 The property is situated on the east side of Buckingham Palace Road between the junctions with Palace street and Bressenden Place. 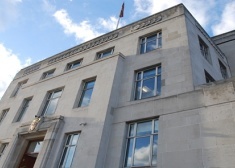 The available accommodation is to be extensively refurbished. 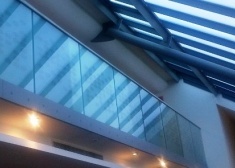 The lower ground is to undergo refurbishment to provide efficent media space. 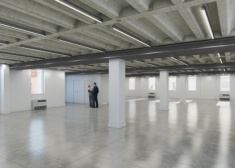 The lower ground will provide open plan space with very good floor to ceiling height. 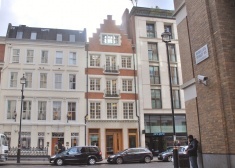 These two adjacent Georgian buildings are situated on the South East side of Russell Square and are close to the junction of Southampton Row. 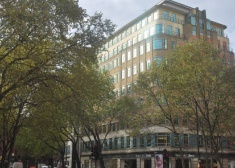 With stunning views over the River Thames this prominent building is located on the East side of Adam Street, which lies in between the Strand and Victoria Embankment Gardens. 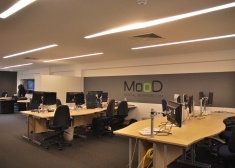 The first floor provides light open plan media style office space. 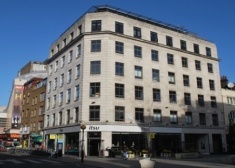 Ibex House is located on the east side of Minories at its junction with Haydon Street. 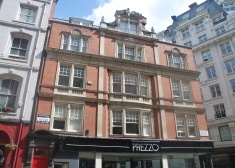 The property occupies a prominent position on the east side of the northen end of Great Portland Street. 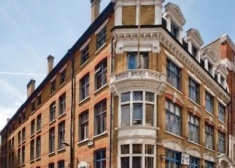 The attractive 5th floor is available on a sub lease or assignment to September 2016 and provides a mixture of high quality fitted meeting rooms and offices with a large open plan area. 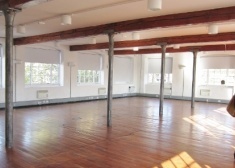 The available suite offers loft like predominantly open plan space, wooden floors, high vaulted ceilings, large windows and a mezzanine office accessed via a spiral staircase. 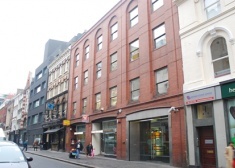 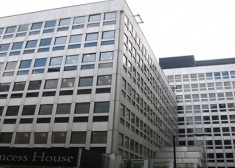 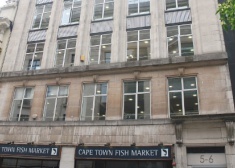 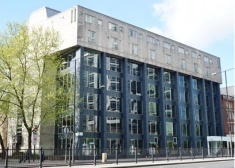 The property is located on the West Side of Aldersgate Street close to its junction with Long Lane and Beech Street. 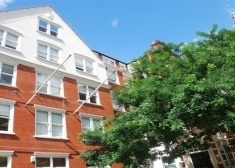 8 Golden Square is situated on the eastern side of the sought after Golden Square. 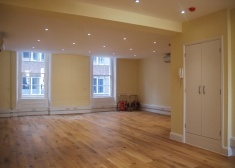 The available part 4th floor has been comprehensively refurbished to provide bright, open plan space. 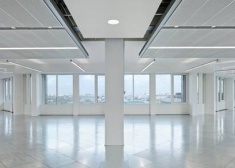 The third floor offers open plan space, feature lighting in part and a typical 'Soho' outlook - perfect for media occupiers. 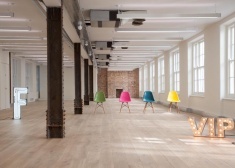 The floors are part air cooled. 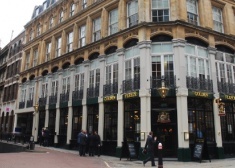 Queens House is conveniently located on the west side of Queen Street close to its junction with Cheapside and Poultry. 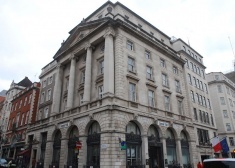 Bank and Mansion House underground stations are within a short walk. 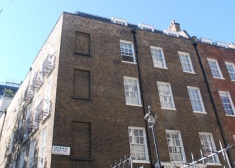 17 Devonshire Square is an attractive period building occupying a corner position overlooking Devonshire Square. 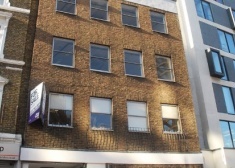 The available second floor office is accessed via a well presented ground floor entrance. 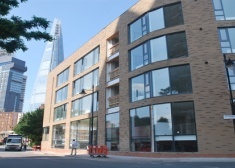 The building is located just south of the hottest new development in Europe -The Shard, and benefits from the significant regeneration the area has undergone in the recent years. 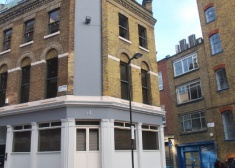 The building is positioned on the corner of New Inn Yard and Anning Street, not far from Curtain Road and Shoreditch High Street. 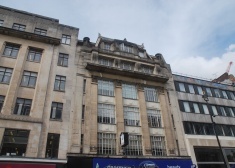 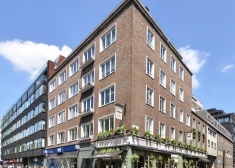 The property is located on the west side of Rathbone Place, close to its junction with Oxford Street and to the South of Charlotte Street. 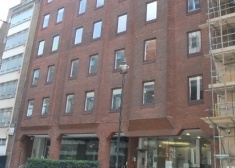 The property is located on the east side of Old Bailey. 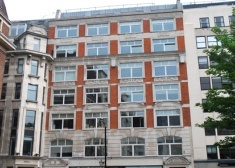 The building is situated on the west side of Kingsway at the southern end, close to its junction of Aldwych. 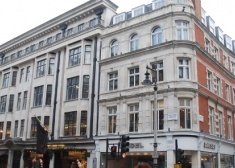 The building is conveniently located between Covent Garden and Holborn and is surrounded by a wealth of shopping and entertainment facilities. 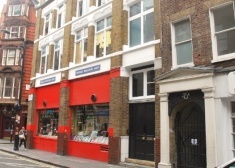 Rent inclusive of Service Charge and Business Rates. 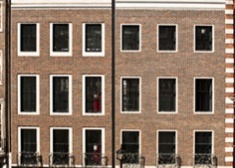 The 1st floor is available in part or as a whole and provides a bright well maintained suite with meeting rooms in situ. 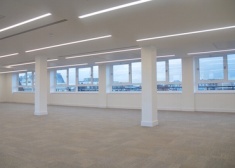 1 Lancaster Place provides spectacular river views from a Grade fitted out A office floor. 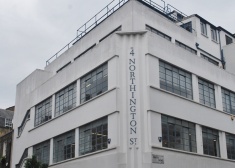 The building is located on Macklin Street, close its junction with Drury Lane and Newton Street. 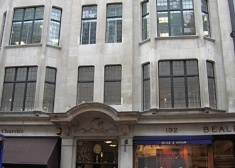 The building is located on the west side of Albemarle Street. 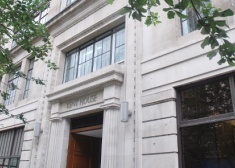 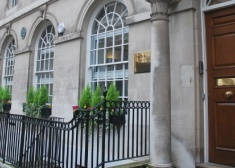 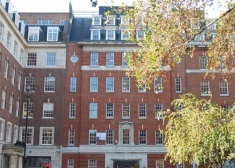 Kingsbury House is situated on the north side of King Street, between St James’s Square and St. James’s Street. 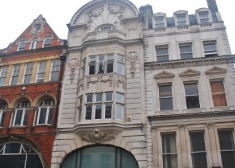 Situated on the East side of Wardour Street opposite its junction with Sheraton Street this prominent building is located in the heart of vibrant Soho. 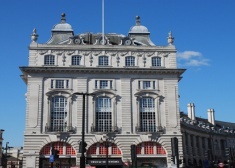 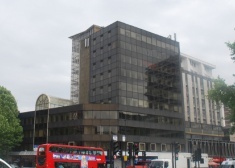 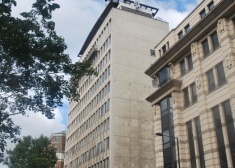 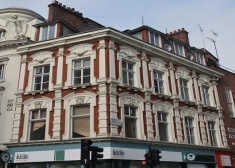 This prominent building is located on the east side of Alfred Place, which runs parallel to Tottenham Court Road. 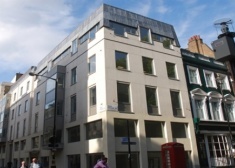 This modern office building is on the north of Bentinck Street near the junction with Welbeck Street – in undoubtedly W1’s most professional location. 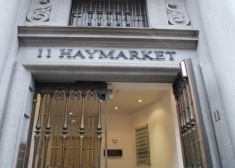 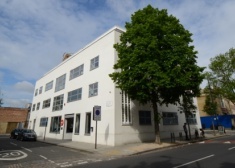 This beautiful 1st floor presents a high quality gallery space with excellent height throughout. 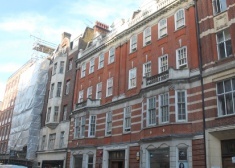 This stunning and extremely unusual office suite benefits from high plastered ceilings, plenty of natural light and its own self contained entrance from New Bond Street. 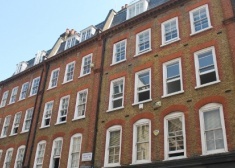 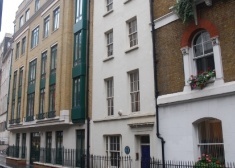 The property is located on the west side of Greek Street, between Soho Square and the junction with Bateman Street. 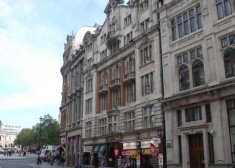 The building occupies a prominent position on the north side of Shaftsbury Avenue at the corner of Shaftsbury Avenue and Wardour Street. 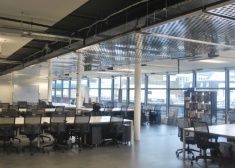 The 1st floor provides bright good quality media space benefitting from the following amenities. 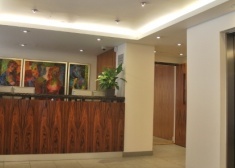 The available accommodation comprises the entire 2nd floor and is fully fitted to include meeting rooms, comms room and kitchenette. 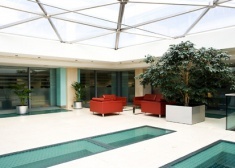 The accommodation is fully furnished. 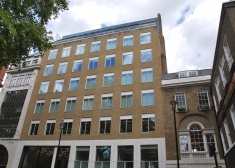 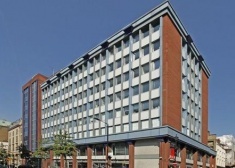 The building was substantially refurbished in 2000 to provide high quality office space and common parts. 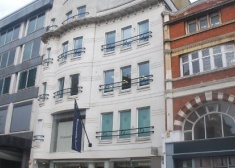 This prominent building provides prestige accommodation accessed from a well presented, modern reception. 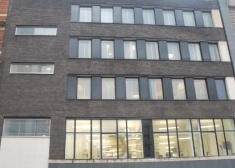 The building provides Grade A open plan, air conditioned offices with good floor-to-ceiling height entered via a contemporary ground floor reception area. 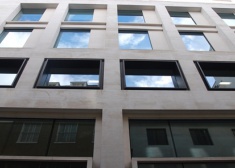 20 Rathbone Place has been substantially refurbished to a category A standard with a new top floor and roof terrace. 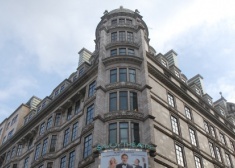 Film House is one of Soho's most prominent buildings situated on the east side of Wardour Street, at its junction with Sheraton Street. 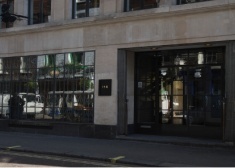 Soho, a world renowned vibrant location, is the spiritual home of all that is best in the creative industries.